Last year alone, disengaged employees cost the US between 450 and 550 billion dollars. One way to combat this rampant disengagement is to use a performance management solution. 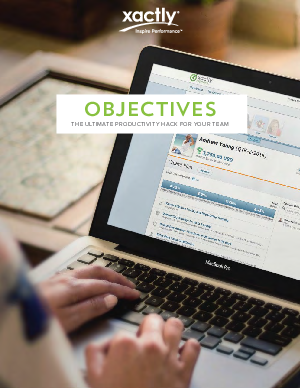 Xactly Objectives™ can help you achieve your business goals, and allow you to build a high-performing team that’s better connected, more inspired, and more productive.